Description: Oceanapia isodictyiformis forms a basal mass from which long dirty white-brown fistules with paper thin walls stick out. 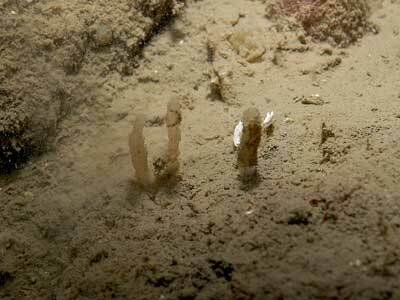 It is very fragile and partly buried in the sediment in the shallow sublittoral. 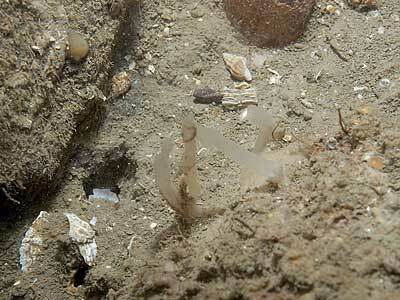 Only four records of this apparently rare species are known. Picton, B.E. & Morrow, C.C. (2016). Oceanapia isodictyiformis (Carter, 1882). [In] Encyclopedia of Marine Life of Britain and Ireland.